Galaxy F / S5 Prime / Alpha Release Date, Specs, and Rumors: Samsung's Premium Smartphone to be Launched in September, August? Galaxy F / S5 Prime / Alpha Release Date, Specs, and Rumors: Samsung’s Premium Smartphone to be Launched in September, August? The premium model of Samsung’s latest flagship phone could be out in August. There has been much speculation and rumors that the Korean tech giant is about to release a “premium” variant of the already top-of-the-line Samsung Galaxy S5. This variant has been dubbed the Galaxy S5 Prime, Galaxy F, and Galaxy Alpha. The S5 Prime/F monikers likely refer to the same smartphone, if Samsung is indeed developing one. The Galaxy Alpha could, however, be a completely different, yet-to-be-released phone, or could be the speculated “premium” S5 model under a development codename. If the Galaxy Alpha is indeed the Galaxy F/S5 Prime, then the phone is slated for either a September or an August release. Samsung’s CEO JK Shin has said that a “premium” model of the Galaxy S5 is not in the works though, but rumors still persist. SEOUL, South Korea (AP) — Samsung Electronics Co. said it has suspended business ties with a Chinese supplier that allegedly hired children. 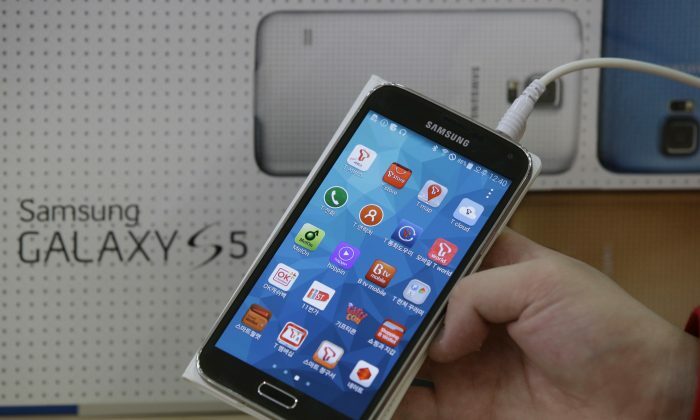 The South Korean company, which is the world’s biggest smartphone maker, said in its blog Monday that it had found possible evidence of child labor and illegal hiring at Dongguan Shinyang Electronics Co.
Samsung said last week it would urgently look into the Chinese supplier following a New York-based watchdog’s report that it hired at least five children under the age of 16. China Labor Watch said children as well as minors under 18 worked at Shinyang for three to six months to meet production targets during a period of high demand. The watchdog said the child workers were paid for 10 hours a day but worked 11 hours. The report detailed 15 labor violations discovered during its undercover investigation. They included child labor, the absence of safety training, no overtime wages and no social insurance for temporary workers, who constituted at least 40 percent of 1,200 employees at the Chinese cellphone parts supplier for Samsung. China Labor Watch’s report came shortly after Samsung said its audit found no child labor at hundreds of Chinese suppliers. Samsung began inspecting its Chinese suppliers after the labor watchdog raised the child labor issue in 2012. Samsung said Chinese authorities are investigating the case and if the investigation finds child labor, Samsung will permanently stop doing business with Shinyang.